This week's podcast is a real treat! This past Saturday, Tom Cassidy performed Visual Sound along with four other poets for a crowd at Light Grey Art Lab. It was an amazing performance, a dense rollercoaster of language, full of clever humor, beautiful poetry, and whip-smart commentary! It's hard to sum it up, so please have a listen! You'll see what we mean! 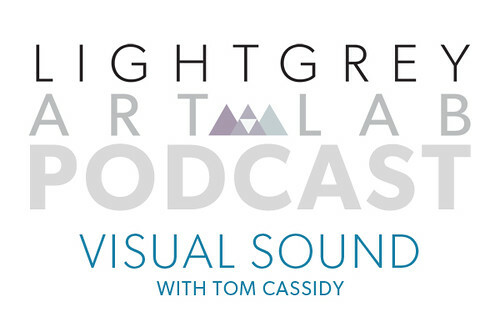 Synopsis: This podcast is an audio recording of 'Visual Sound', a lecture/performace by Tom Cassidy. This event took place at Light Grey Art Lab on Saturday, February 2nd, 2013. Tom Cassidy is a fixture in the international smallpress/mail-art community. 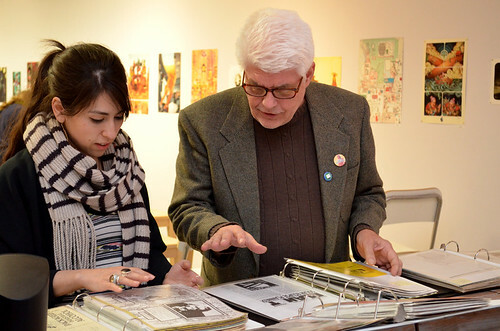 His work has appeared in hundreds of offbeat publications and exhibitions, and remains in special collections around the world. He has performed at dozens of colleges, galleries, and theatres, and is currently a performer and board member at Cheap Theatre and Patrick's Cabaret. Tom is known as the "Musicmaster" and "the Funniest Mad Man or the Maddest funny man." He has been participating in the mail-art, slam poetry, and literary community for decades, and loves to share all of his knowledge and nonsense associated with studying linguistics.